A Biblical Disciple is any man or woman who follows the teachings and beliefs of Jesus Christ. In today’s modern world Disciples are referred to as Christian’s. While I see no difference between the two, the term Disciple is the one originally used by Christ himself to define His follower’s, and gave power unto. As Disciple’s we are representatives of God’s heavenly government, giving guidance to the unsaved and being a representative of the divine power found in the Gospel of Jesus Christ. The Bible gives 3 distinct characteristics of discipleship in the Bible, which is abiding in God’s Word (John 8:31-32), Bearing Fruit John 15:4-8, 16) loving one another John 13:34-35. In doing the Word of God not only shines a light on the Gospel, but also keeps the believer free from the sin nature. If you continually do over and over the will of God it will in return become part of your nature and make up. The more that the Father can see in you of Him will create opportunities to pour out blessings in your life and the life of others. This faithful practice gives your will over to the Father to do as He needs in your life and that of others. 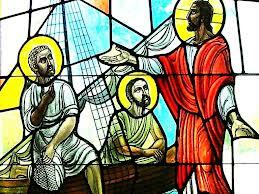 Jesus called the Disciples from their different walks of life to become his” fisher men,” of souls (Mark 1: 16-17). Repetition in doing right, in return will produce the fruit of holy living. Bearing fruit is another high calling of every Disciple. Bearing fruit can be found in teaching ministries or helping those in needs. The “fruit,” that you will bear is directly related to the reason why God called you in the first place. Every person has a caring heart towards an immoral or criminal act in society. This can be found in ministering to homeless children, civil rights or abused women. We all personally feel the need to change something wrong in this world and there is no greater force than the Holy Ghost to receive the power to do so.